It’s almost Halloween, so US Vogue has published a design project with costume designers who created masks that some interesting New Yorkers played dress-up with them. 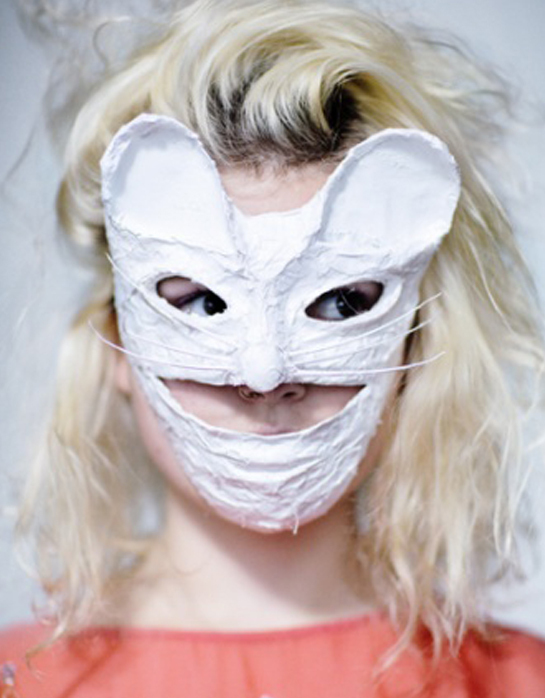 This is my favorite one, the white fox mask, designed by Kamo and worn by photographer Olivia Bee. Es casi la noche de Halloween, así que Vogue USA ha publicado un proyecto con diseñadores de vestuario que crearon máscaras que algunos neoyorkinos interesantes, jugaron a ponerse. Este es mi diseño favorito, la máscara de un zorro blanco, diseñado por Kamo y que luce la fotógrafa Olivia Bee. Posted in Anything, everything, Fashion, Objects, Vogue. Bookmark the permalink.